Caring for your favourite pair of jeans doesn’t have to be a big hassle, there is a few simple steps you can take in order to prolong the longevity of your jeans. 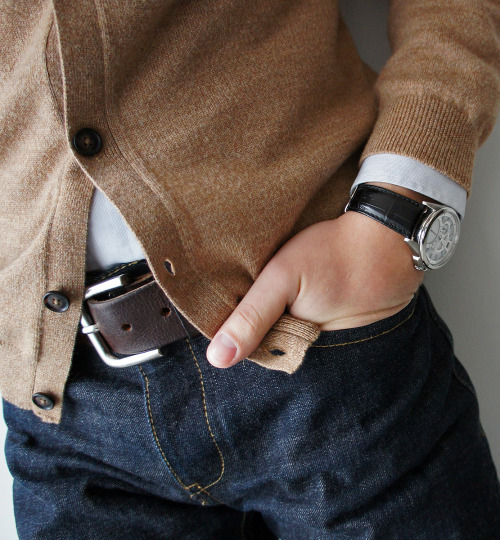 Just like with a fine suit, resist the urge to wash your jeans often. The general rule of thumb is once every five to six months. The chemicals used when you wash your clothes wear away the indigo fibers and you’re left with colourless streaks where your jeans crease; which is normally behind the knees and around the crotch. When you do wash them, turn the jeans inside out, use a mild detergent and water that is a bit cooler than lukewarm. In the meantime, clean up any spills and stains right away with a damp cloth. You could clean your jeans more often by throwing them straight in the freezer. It’s not as strange as you think, there’s actually some logic to it. The sub zero temperature kills off any bacteria and rejuvenates your pants. There’s a few tricks you can do to keep your denims smelling like the day you bought them. The easiest way to neutralize odours would be to hang them up on the clothesline and let them air out naturally, but remember not to leave them out in direct sunlight but rather in the shade. Alternatively, when you take a long hot shower, hang them in your bathroom to let the steam unlock and dispose of any questionable smells. The freezer method also helps in this department, since the freezer kills the bacteria, it takes care of the smell which is ultimately the cause of the scent. Looking after your own skin can actually help preserve your jeans – one of the main sources of odour and dirt on your clothes is actually dead skin cells and bacteria that you shed. So it’s not a bad idea to pick up the habit of exfoliating with a simple exfoliating glove, it’ll keep your skin smooth and your clothes clean, for longer!